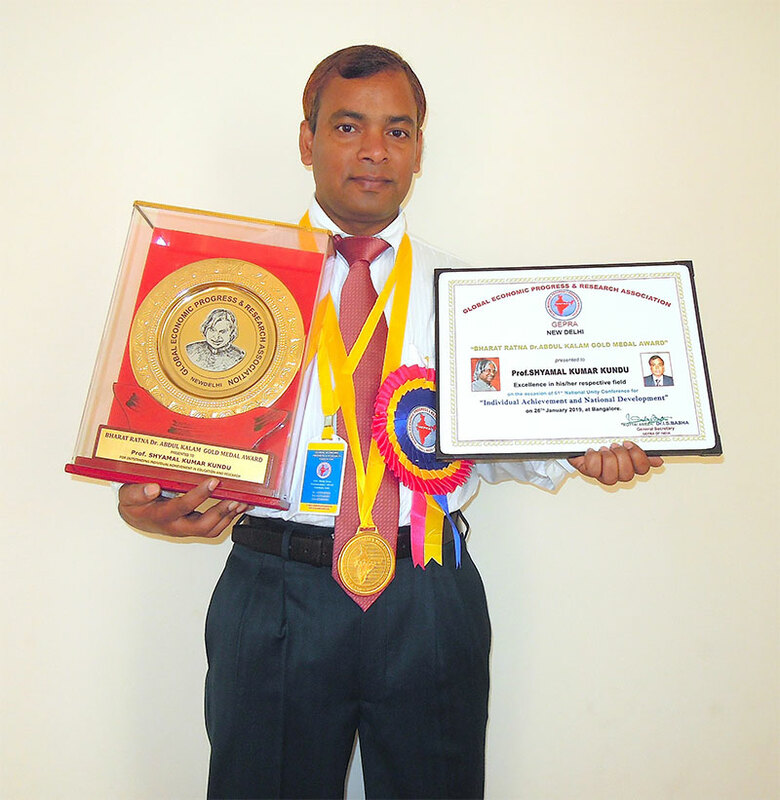 Dr. Shyamal Kumar Kundu, Professor, SBAS, Galgotias University, Greater Noida, received the "Bharat Ratna Dr. Abdul Kalam Gold Medal Award" for his outstanding individual Achievement in the field of Soft Matter Physics especially biomaterials and polymers in the category of Research. 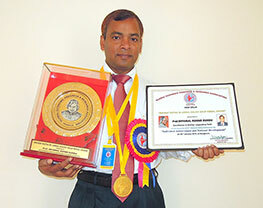 The award was presented at the National Unity Conference organized by Global Economic Progress and Research Association (GEPRA), an NGO from Thiruvannamalai, Tamil Nadu held on January 26, 2019 at Bangalore. A number of researchers and practitioners attended the conference from different states of the country in the areas of Science, Medicine, Industry, Research, Education and Social Service.